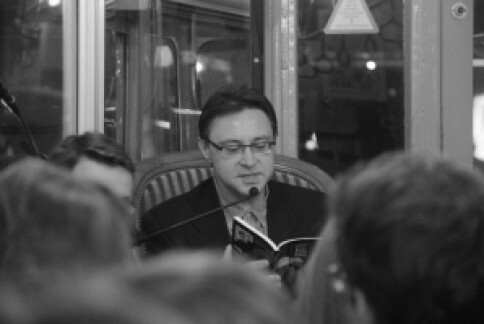 Dalibor Šimpraga’s publishing credits include his novel, Anastasia (2007), a collection of short stories, Kavice Andreja Puplina (2002), and an anthology of new Croatian prose of the 1990s, 22 u hladu (2002). He is a cultural editor for the widely circulated weekly magazine, Globus. He co-founded the literary magazine, Fantom slobode. His debut novel, Anastasia (2007), received the well-respected t-portal prize for best novel of the year. Born in Zagreb in 1969, he still resides there and graduated from the University of Zagreb with a degree in Croatian and Southern Slavic Literature and Linguistics.